In our Photoshop classes we did a set of overlapping assignments leading up to a proof of concept. 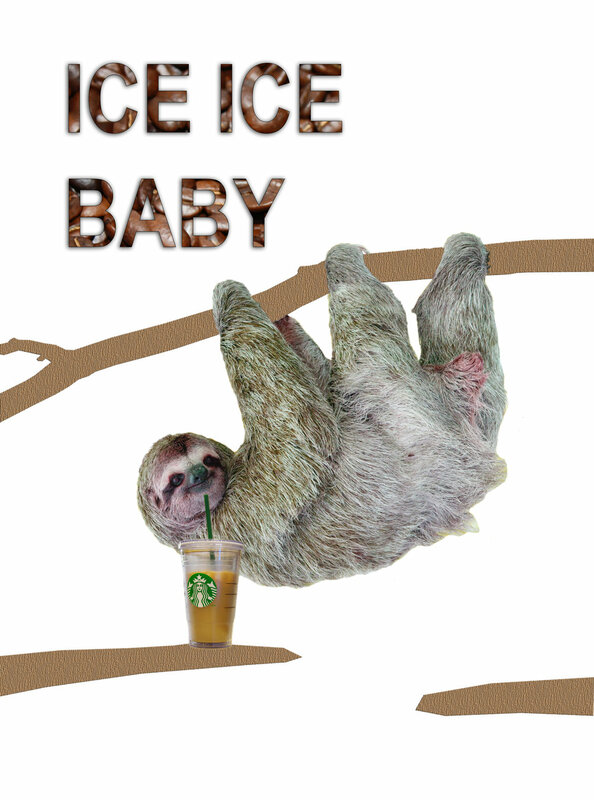 We were given the instruction of doing something with S6 in mind so I decided to do a sloth drinking iced coffee for a potentially future real company called the Slothee Iced Coffee Co. There were various things we had to include in each assignment that influenced choices. I really enjoyed the colour palette and the way that things came together. There are some things I did that I though were clever solutions like using a ice cube brush as part of the logo to meet a criteria. I really like how the final poster turned out. I went in to tutorial and had something fully submittable but worked with the instructor to come up with something sharper and to push the assignment to another level. His advice was really helpful and got me to the design here.